Again Friday! Another party! Yoo-hoo…!!! And what most parties are based on? Of course it is beer.. and alcohol in general… Is it bad ? Can we do it both ways, and what happens to you and your body when you drink and in the morning after a hard night drinking – you will find it out in this article! After reading this article I hope you will understand how bad drinking is affecting your gains and diminishing your progress. Alcohol is empty calories. It does not have any nutrition but it has caloric value of 7 per gram of alcohol. So if you are trying to lose fat – forget it! Forget about drinking. Not only because of those calories but alcohol slows down your metabolism too – so it is harder to process food for your body. Your body tries to metabolize the alcohol so the process of fat burning stops at all – that is really bad. Dehydration – it is a disaster! Alcohol really hurts your muscle growth! It is not only that you can not eat a lot after drinking, but alcohols slows down the protein synthesis for 20%… TWENTY !!! It happens because alcohol dehydrates your muscle cells (creatine does the exact opposite) and creates much catabolic environment in your body. 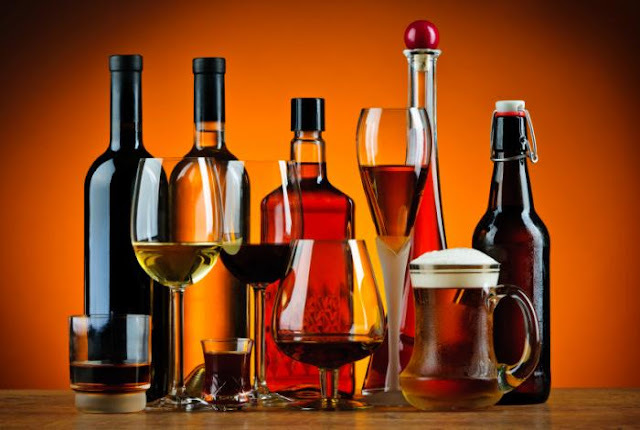 Also alcohol blocks the absorption of a lot of important nutritions for athletes (such as – calcium, phosphorus, magnesium, iron and potassium). Testosterone… When you drink, your testosterone levels goes down but your estrogen level goes up. Testosterone is the main hormone that builds the muscle… so we want it more not less. Drinking lowers your testosterone level for about 25%. Considering all of those facts we can infer why a lot of heavy drinkers has gynecomastia ( and we really do not want that… ). drink a lot of water before you go to sleep and in the morning – this water will keep your muscles hydrated and the catabolism of your muscles will me much, much lower. drink a protein shake before you go to sleep. This will fight against the catabolism and not to even mention that you ALWAYS need some protein. eat good breakfast and make sure that your serving contains a lot of protein, calcium, phosphorus and iron, because these nutritions your body really lack after a hard night.